What a great day this was! We had about 14 families attend and Colin had arranged special parking for our cars as the village gets very busy on the weekends. The model steam trains were beautifully made to scale and powerful as they hauled carriages full of people. Some of the locomotives with petrol motors couldn’t handle the heat and stopped to cool down. 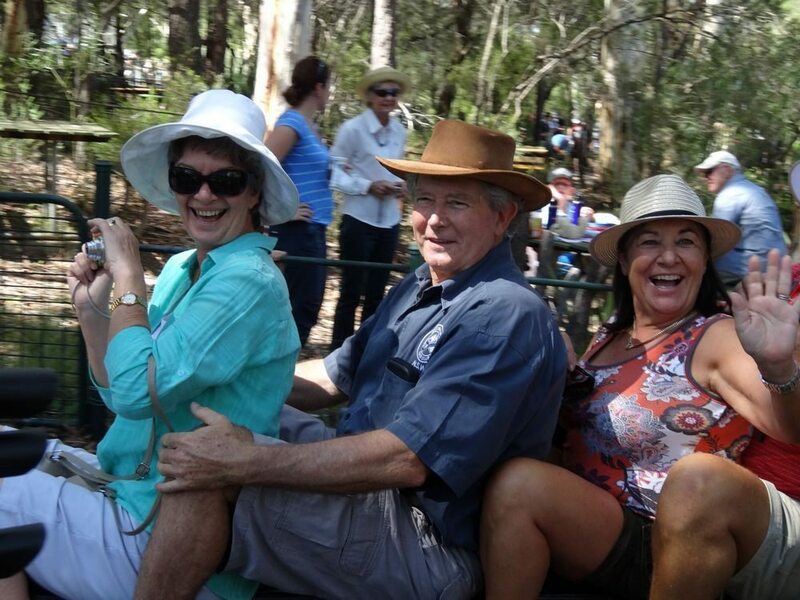 The layout of the track was in a bush setting and made a very pleasant ride in the open carriages. The day was very hot but we managed to find shade under the many trees to have our lunch. Colin had also arranged to visit a friend, John Wilson, who owned a property about 2 kms from the model railway. John is restoring a Diamond T truck, which I believe is the first truck he owned in his trucking business. John also restores old magneto ignition coils which are used in mainly veteran cars. John also owns two, aluminium bodied, vintage cars, which he uses regularly. Everyone found a seat under the shade of the many trees in John and Janice’s back yard with more Buick fellowship. The day seemed to be getting hotter so many were departing to go home to air conditioned comfort. Thank you Colin and Dawn for arranging the day and John and Janice for opening your home to us.